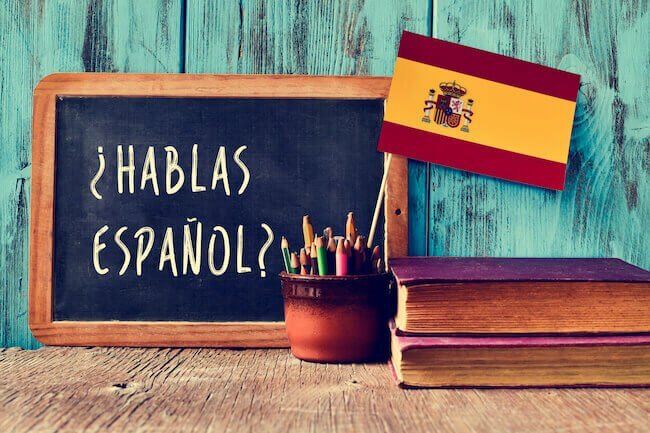 Spanish is one of the most widely used spoken languages on planet Earth, which undoubtedly has contributed to its popularity among students choosing a course of study for their second language. Still, despite its prominence, it’s normal to run into trouble when trying to learn Spanish. Grasping a new language can be a challenge, and as we get older, the difficulty level only increases. Luckily, nowadays there are a number of resources that can be used to make the learning process easier. Even better, many of these tools are available remotely, which makes accommodating them into even busier schedules much more convenient. Does seeking out Spanish help online make a difference? What about for beginners? In some cases, there is no substitute for in-person, face-to-face instruction. When it comes to learning another language, however, the Internet can be an effective resource. Education in general has taken a turn for the technological, and this includes Spanish help online, which has made significant strides over the years. Instead of being forced to register for classes in a school setting, aspiring Spanish-speakers now have access to interactive software, lesson-based websites, and even mobile apps. With these advancements in mind, it’s no surprise that Spanish tutors and instructors have had success teaching students of all levels via the Internet. Whether your need is help with Spanish for beginners, or you’re just looking for a more effective way to study Spanish and retain what you’ve learned, online lessons offer added convenience as well as a much lower cost compared to the classroom alternatives. Online tools for learning Spanish have effectively bridged the gap between language education and the people who previously could not access it, either due to their locations or the cost of classes. Today's technology makes remotely learning a foreign language easier than ever. Can getting a Spanish grammar check really help you learn Spanish? Often, someone learning a new language will run into a certain issue: They don’t know how to check their work, which in turn prevents them from progressing any further. If you don’t understand where you might have gone wrong, there’s no way to correct it. Spanish grammar checks are the solution to this predicament, whether they’re needed for extensive work that was previously completed or only an isolated phrase. Using automated language services like Google Translate is one option, and some of them can actually be quite effective. However, no automated method can match the accuracy of a human expert. Like every other language, certain elements in Spanish will change depending on the context and intention of the sentence. For example, while automated checkers can pick up on incorrect word placement, they won’t be able to tell if a sentence is intended as a statement or a command. Different language correction programs come with unique strengths and weaknesses, meaning you might not find the best fit for your needs right away, unless, of course, you opt to take your questions to a Spanish tutor online. Regardless of your choice, online Spanish grammar checks can be a useful resource for grasping the language with more confidence and speed, as you’d be spared the need to stop what you’re doing until you can find time to meet face to face with an instructor. If someone heard that you were seeking out the answers to your Spanish homework, they might assume you were trying to take a shortcut. And while some Spanish students need help with something they’re stuck on from time to time, easy access to homework help can be a valuable educational asset. Often, students believe they understand the material their teacher went over with them… until they’re at home, without any guidance as they try – and fail – to get through their homework. Homework help for Spanish classes can provide similar benefits to grammar checks, only with the added bonus of in-depth assistance and direction. The appeal of a Spanish tutor comes with the attention they can offer students, as even the most active and enthusiastic teacher will still need to divide their attention between all the members of a class. A tutor, on the other hand, only needs to worry about the student in need of help with Spanish homework, and can save time by not focusing on aspects of the work that the student has had no trouble with. The customized guidance you can receive via online Spanish help provides a sizeable advantage for getting the most out of your efforts towards mastering a new language. The intricacies and variables involved can make learning Spanish a unique challenge, but knowledgeable tutors can highlight the best steps to take moving forward. With dedication and the right assistance in your corner, you can be watching telenovelas without subtitles in no time. Reach out to a Spanish language Expert on JustAnswer today to get started. Is calculus hard to learn?